Calling all Yu-Gi-Oh! 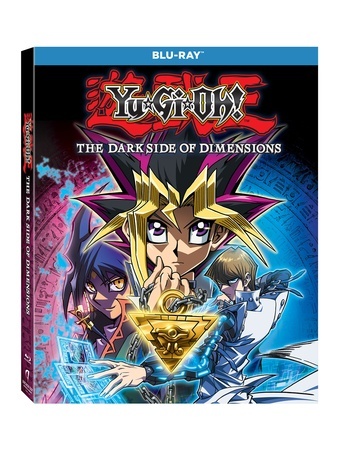 fans, did you hear about the new Blu-ray release of The Dark Side of Dimensions!?!?! The film celebrates the 20th anniversary of the global phenomenon, which remains one of the top trading-card games in the world. In this installment, Yugi Muto and his friends reunite to battle their enemies in an exhilarating fight that transcends time and space. Yu-Gi-Oh! : The Dark Side of Dimensions features new designs and an all-new story from the original creator, Kazuki Takahashi. Including an exclusive collectible trading card.